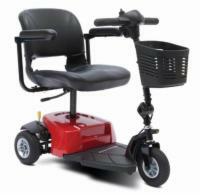 A1 Medical Supplies prides itself in offering a wide range of home accessibility solutions for the mobility impaired. 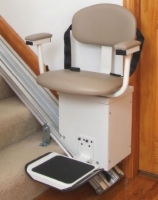 Whether you're seeking a lift device for the bath or toilet, a seat lift for your existing furniture, or a stair lift for safely maneuvering between floors of your home, you're sure to find a quality brand-name product wih excellent warranty coverage in our catalog. If you're considering multiple mobility solutions from among our various product offerings, our accessibility experts can help pinpoint which one is best for you. Please call us at 1 (800) 347-0153 for immediate assistance from an accessibility expert. Bathe safely without assistance using these bath lifts! For those that would like extra weight capacity this lift is a great solution in many cases. 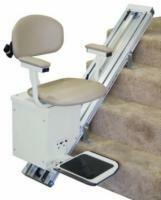 Without question, the most reliable battery powered stairlift we have every produced.